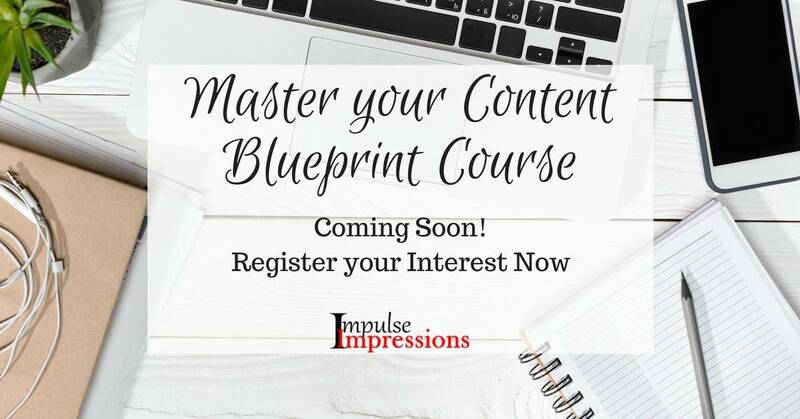 Sign up to be the first to know when the Master Your Content Blueprint online course is released. Enter your name and email address below to be notified when the course is live. The Master Your Content blueprint course is designed to help you to create a well structured content creation plan for your business. You will never be stuck for content ideas again PLUS you will learn how to create content that is highly relevant to your target market, positioning you as the expert! Your content foundation pillars provide the structure of all your future content and will allow you to align every piece of content to a service or product you provide. You will learn how to write your content headlines and titles in a way that will get your target audience to click to find out more. There is a common roadblock that every business faces that you will need to overcome in order to fully commit to creating amazing content. You will also learn my secret time saving weapon that allows me to create amazing content that requires less than 5 minutes of my time. The Master Your Content Blueprint is an online course that you can take at your own pace. You will receive helpful training videos walking you through the entire process from start to finish.